Available in 3 sizes, 150mm, 180mm and 200mm. Black resin award with a silver and gold figure. 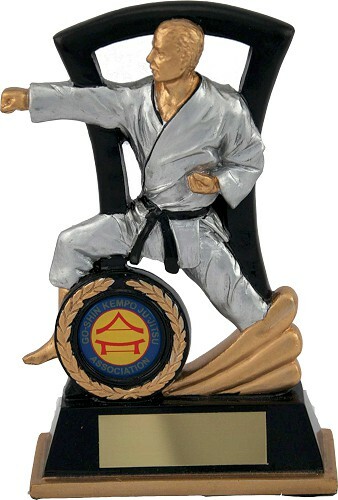 A great value karate trophy. Complete with a free engraved plate and 1 inch centre. Customised centres are available at an additional charge.